Born in the border city of El Paso, Texas, Raul had a very nomadic upbringing and discovered his love for travel and exploration from a very young age. Growing up in several countries, and having had the opportunity to travel around the globe, Raul has developed a deep appreciation for adventure and multiculturalism, which reflects directly in his design philosophy—a thirst for knowledge and a better enjoyment of the world around us. Sagar received his B.S. in Biomedical Engineering from University of California, Irvine. After working several years in the medical device industry, he branched out as a freelance designer. 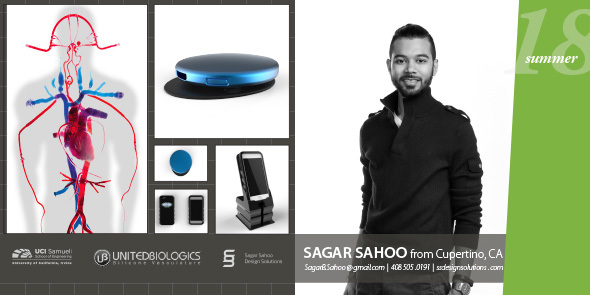 Sagar’s product portfolio has grown to include projects from the medical device, consumer electronics and outdoor recreation industries. By leveraging his biomedical background he plans to empower others with health and wellness products. Diverse experiences gave Chen a different perspective to look at the world, human experience, and life. 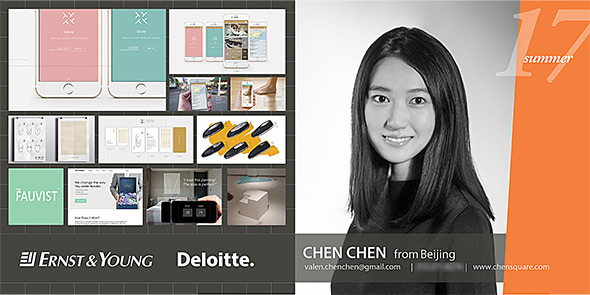 Chen received her bachelors degree in business and worked for Ernst & Young and Deloitte in Shanghai and Beijing before joining GradID. From financial consulting to building her own startup, then moving on to graduate from the systems innovation program at ArtCenter College of Design, not only has she familiarized herself with knowledge in business, entrepreneurship, design research and industrial design, but she has also developed her own understanding of creating value for business and customers through strategic innovation and human-centered design. 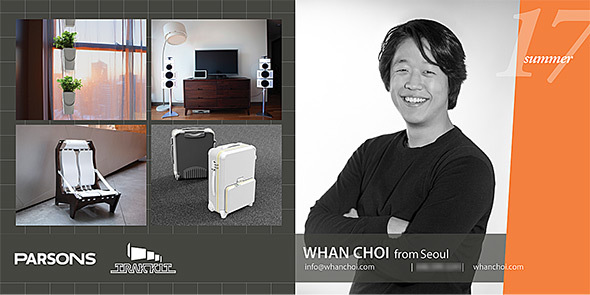 MyungWhan Choi graduated from Parsons the New School Design with a B.F.A. Product Design. 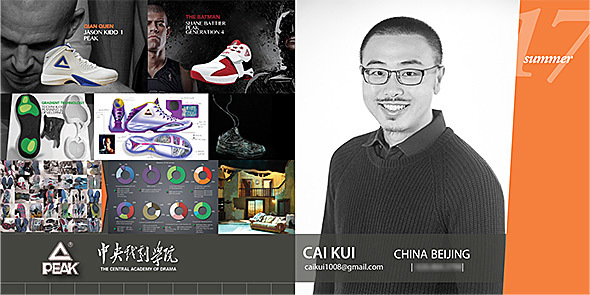 Striving for extensive and realistic elements that nurture businesses within the human-centered approach, his interest is to maneuver a brand identity and to reshape its model. Especially synthesizing rational and emotional values, he believes in design not only for customer needs but also for services accommodating cultural assets throughout technologies adaptable to trends. Mathew Clark was born and raised in Southern California. 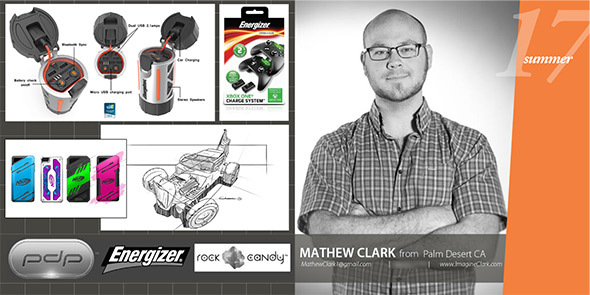 Always intrigued by engineering, design, and technology from childhood, Mathew obtained a BS degree in Industrial Design from Art Institute of Orange County. 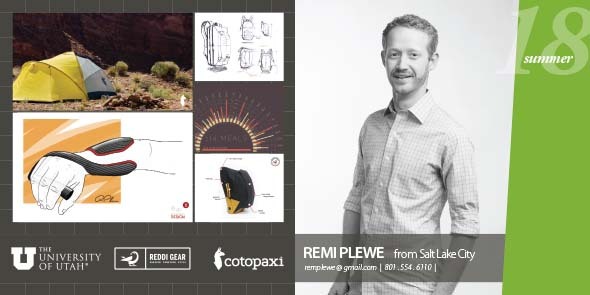 He worked for 2 years as a Product Designer for Designed Performance Products, Inc. During that time, he designed and worked with a collection of company licenses including Disney, Energizer, Nerf, Rock Candy and Afterglow to name a few. Furthering his career and honing his skills, He is currently attending the GradID program at the Art Center College of Design for his Graduate degree in Industrial Design. 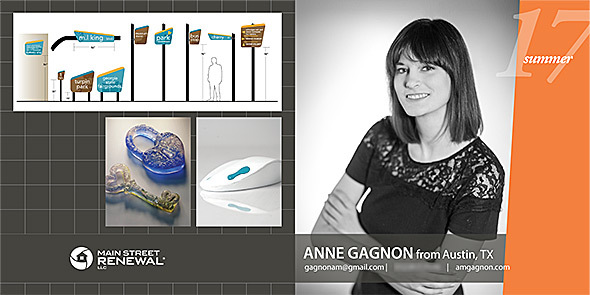 Anne earned her Bachelor of Industrial Design from Auburn University in 2011. 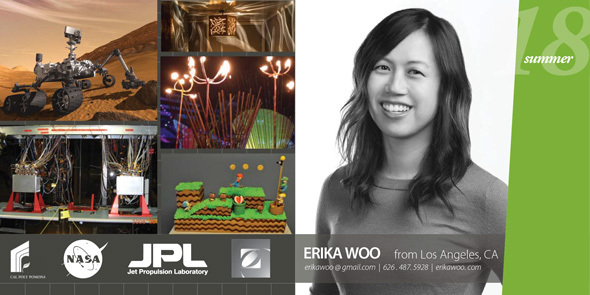 During her undergraduate career, she had the opportunity to work with companies like Emerson and Sky Design in addition to traveling abroad to study in Taiwan. Post-graduation, Anne worked for Main Street Renewal, LLC, a property management company, where she was responsible for purchasing and leveraging new properties. She is excited to refine her design sense through her education at Art Center. Tom received his B.A. in History of Art and Architecture from Harvard University in 2006. Following graduation, he worked in the Technology Investment Banking Group at Morgan Stanley in Menlo Park, and then held various positions across the financial services industry in New York and Boston. He is a limited partner in Rucola, a Brooklyn based restaurant, and an avid long-distance runner who loves the outdoors. 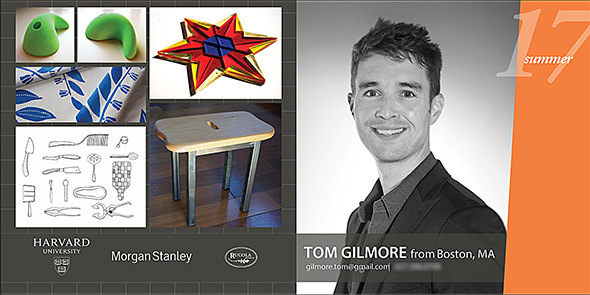 Tom is excited to combine his business and creative passions within his industrial design career. 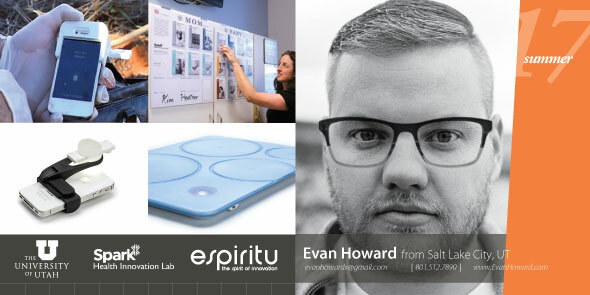 Evan designs to meet human needs and create new value for businesses, two strengths which dovetailed in a dual Masters degrees in Industrial Design and Business at Art Center College of Design. 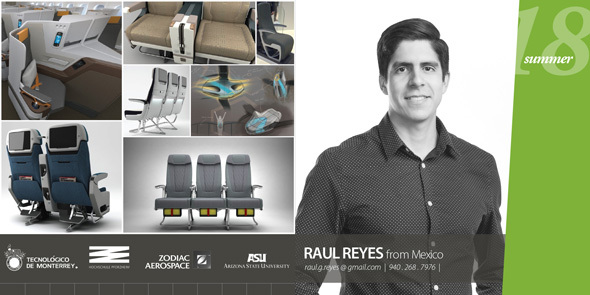 As a senior product designer for Espiritu Design, he designed medical, outdoor, and consumer electronic products. He has also instructed design students at the University of Utah. He derives inspiration from the natural world and worked as a professional snowboard and kayak instructor. Growing up with watching the NBA games and holding Michael Jordan as my idol, I have a strong passion for basketball. During times of loss or frustration, the words of Michael Jordan “I can accept failure, everyone fails at something. But I can’t accept not trying” would resonate in my ears and push me to march ahead. My admiration for him also sparked a strong interest for basketball footwear. For me,it’s not just a pair of shoes or a commodity, rather it’s an unforgettable story. After working for 6 years in PEAK SPORT PRODUCTS CO., LIMITED as a designer of athletic products, I have decided to go back to school to equip myself with more knowledge and inspiration in order to achieve breakthrough in my design. Angie was born in and raised in China. 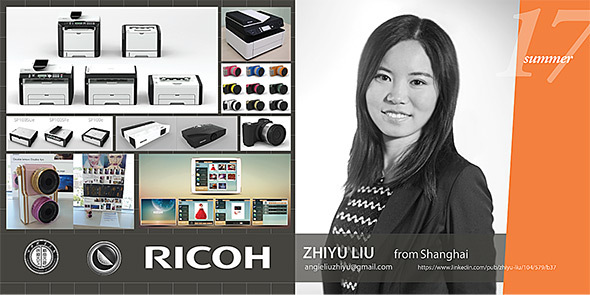 She got a bachelors degree of Industrial design in Chengdu University of Technology and she was a senior product designer of Ricoh in Shanghai before entering ArtCenter. She is strongly associated with Asian Market combing its trends with a design aesthetic. Always obsessed with product innovation and high-technology for mass production, she is best known for these high-tech products, including printers, projectors, and cameras. Xinyao Liu is a young Chinese designer who benefits a lot from having design education in two different cultural backgrounds. Experience in branding, product design, graphic design and design research makes her design thoughtful and multidimensional. 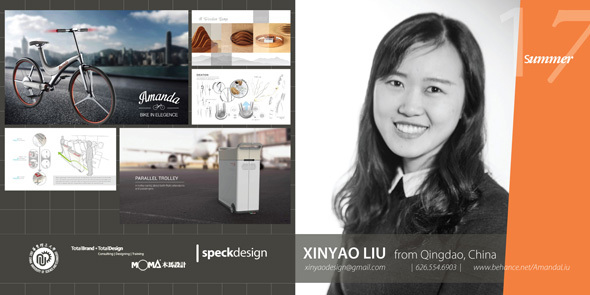 She aspires to use industrial design as a vehicle to open a window in people’s lives, making them much brighter. She’s good at solving problems in a more interesting way. 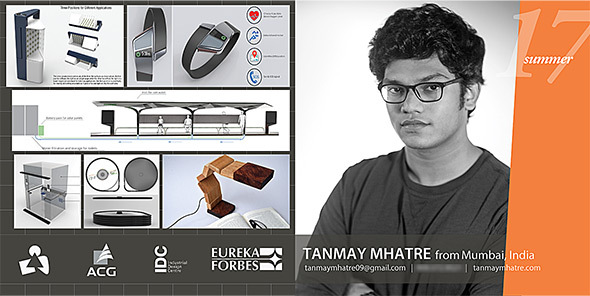 Tanmay received his undergraduate degree in industrial design from DJ Academy of Design, India. His interests lie in consumer durables and strategic design. He believes in a systems oriented and user centric approach thereby focusing on extensive research for his projects. Over the past years, he has had the opportunity to work on a variety of projects for various companies and start-ups. He was also involved in the Mumbai transformation project initiated by IIT Bombay along with the Indian government. His role was to design the bus stop system for Mumbai. He is a part of the GradID program at ArtCenter College of Design where he hopes to refine his skill set making him capable of handling impactful projects that affect a larger audience. 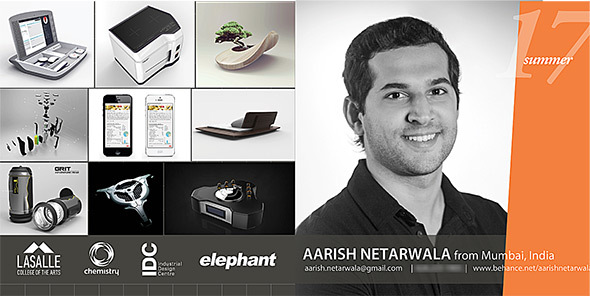 Aarish graduated with a degree in product design from Lasalle College of the Arts, Singapore. He returned to his native country, India, working at a leading studio—Elephant Design—on a wide array of consumer products. Aarish believes designers can lead the way in the creation of successful products, services and systems through human centered design. Joining GradID with a desire to combine great design with strong user research and strategy, he hopes to be an effective catalyst in any scenario in the future. 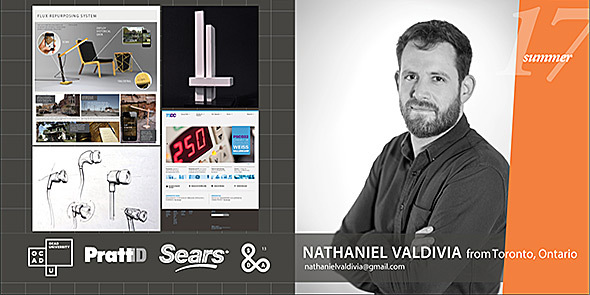 Nathaniel received his Bachelor of Graphic Design from OCADU in Toronto, Ontario, Canada and accomplished a foundation year in industrial design studies at Pratt Institute in New York City. 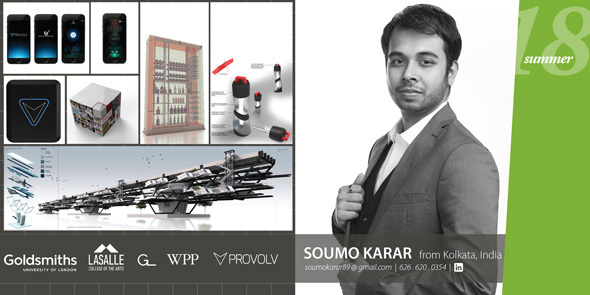 For the past few years he has worked as freelance designer for Sears Canada and various clients in Latin America. An avid interest in interdisciplinary design has led Nathaniel to GradID, where he is planning to further expand his skills and create meaningful human centered design solutions.